Christmas! by Sheila Deeth is a 31 page book, written for families. Have you ever owned an Advent calendar and not been quite sure how to best enjoy it? Ms. Deeth’s book may be the answer you are looking for. Each page has about 100 words, which walk the reader through the books of the bible chronologically. Page 1 tells the story of creation from Genesis. The story of baby Jesus birth is on page 25. A family could read one page from Christmas! each night before opening a door on their Advent calendar. Deeth’s writing style is family-friendly. 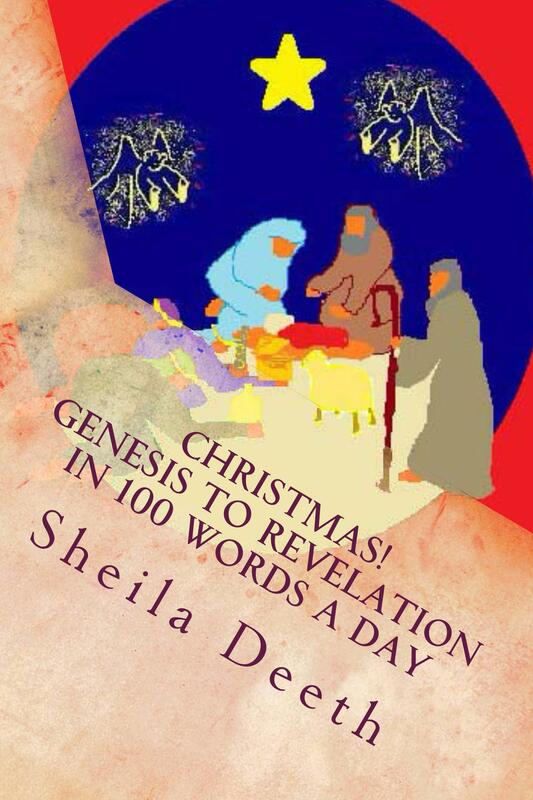 She uses humor and dialog to illumine aspects of biblical stories which interest children. Christmas! is available on-line at http://sheiladeeth.weebly.com/, as well as at Amazon, Barnes and Noble, Smashwords, Kobo and Goodreads. The book review of Christmas! by Sheila Deeth originally appeared on jaynechaseloseke.com on November 20, 2013.